Gabion is an element in the form of blocks made of steel wire mesh, welded or woven, having hexagonal opening, square or rectangular openings. It is then filled with natural stone for river, hill protection or construction. 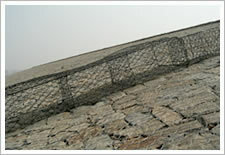 Wire mesh gabions are in the shape of block or regular cube size. These special wire bins are made of robust wire, filled with the vibrations at the quarry and transport are accompanied by the lifting straps. 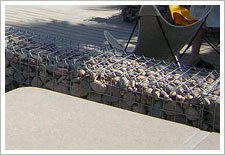 Gabions are provided in the forms of gabion box, gabion basket, mattress and cages. 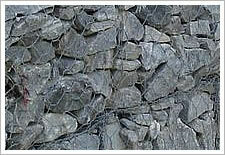 They are mainly used in building blocks of gravity walls, soil retaining wall, gravity wall and reinforced structures. Wire mesh materials for making of gabions cover hexagonal wire mesh, chain link fence or welded square wire mesh.